HomeSportsWhy Sierra Leone’s World Cup dream ended in tears? October 16, 2013 Abdul Rashid Thomas Sports Comments Off on Why Sierra Leone’s World Cup dream ended in tears? As twenty-one countries qualified last night for next year’s World Cup football competition in Brazil, Sierra Leone’s national football team – Leone Stars is now facing the agony once again, of failing to make the mark. (Photo: Ghana celebrates last night’s 6-0 defeat of Egypt). Sierra Leone as a football loving nation is not short of talented players. But one may have to think as far back as the 1960s to find any evidence of a well structured and organised national framework programme, encouraging and supporting talented sportsmen and women to achieve their potential. With the exception of the West African Amílcar Cabral Cup, which Leone Stars won in 1993 and also came second in 1995, under the aegis of the young military rulers in Freetown, it is true that the country’s football prowess has suffered a rapid decline. Poor leadership, corruption, under-funding and nepotism, largely account for that decline. But the recent appointment of an international football novice – some would say ‘Rookie’ from Ireland, who has never graced the changing room of any British premier league or top division European football club as coach or manager, is truly baffling and continues to raise questions. Is there any wonder Sierra Leone’s national football team are struggling to achieve the minimum standards of performance on the pitch, let alone qualify for the World Cup in Brazil? This is a fairy tale story of Johnny McKinstry – a young Irishman in whose hands Sierra Leone’s World Cup dream was entrusted. Many would say that Sierra Leone is full of contradictions and ironies, but this has to go down in the annals of history as one of the most bizarre decisions taken by those in authority in Freetown. But his appointment was not without protest. Sierra Express Media reported: “Supporters of the national team, Leone Stars, have severely criticized the Minister of Sports, Hon. Mohamed Abu Bakarr Paul Kamara, for the appointment of Irish born Johnny McKinstry as head coach of the national team. “Johnny McKinstry’s appointment came after the resignation of Lars Olof Mattsson who said he resigned because the Sports Minister, Paul Kamara, was interfering in his job. The appointment of a new coach has not gone down well with fans who argue that McKinstry has no experience with the national team, saying they were expecting the appointment of a local coach. They accused the minister of being unpatriotic and lavishing taxpayers money on hiring a foreign coach when Leone Stars have no chance to qualify, further accusing the minister of having no respect for local coaches who he accuses of accepting bribes, making such allegations without evidence. Johnny McKinstry is making waves in West Africa despite having never played or managed professionally. If you watched it in a movie, you would say that the script was too farfetched but the extraordinary story of Johnny McKinstry is true. The virtually unknown Northern Ireland man, whose diverse CV includes stints at Castlereagh Colts and New York Red Bulls, replaced experienced Swedish coach Lars-Olof Mattsson. McKinstry got the job after he impressed Sierra Leone’s footballing hierarchy whilst working for the Craig Bellamy Foundation. The former Liverpool and Manchester City striker, looking forward to playing again in the Premier League with Cardiff next season, runs a non-profit football academy in the capital Freetown. McKinstry explained: “I have been coaching in Sierra Leone for just over three years now, working as Academy Manager for the Craig Bellamy Foundation where I am responsible for the identification and development of the country’s best young players. “Having followed the progress of the national team closely over the last three years, I was well placed to take the job on. The Leone Stars host Tunisia in Freetown on Saturday, before travelling to the Cape Verde Islands a week later. McKinstry needs two wins to keep the World Cup dream on track, but he is confident he can guide the national side to positive results. “I’ve been doing a lot of planning for the upcoming games. I already knew a lot about the strengths of the Sierra Leone squad, as I have watched them closely in recent years, and I have gone about determining how we can exploit the weaknesses of both Tunisia and Cape Verde,” he says. Sierra Leone’s most famous player, former Inter Milan striker Mohamed Kallon has admitted that he had never heard of McKinstry, but the Lisburn man believes the players will respect and respond to his coaching. He said: “I am not concerned about entering the international environment. Players appreciate quality, hard work and honesty. These are three things that they will get from me from the moment we get together ahead of the first international. “My aims as manager of Sierra Leone are the same as they have been for every team I have ever coached, and that is to win the next game. McKinstry, once described by Sir Bobby Charlton as ‘one of the most exciting young coaches in the UK’, will lead a team that is actually higher in Fifa’s rankings to Northern Ireland – they are 67th, – a full 52 places above Michael O’Neill’s side. 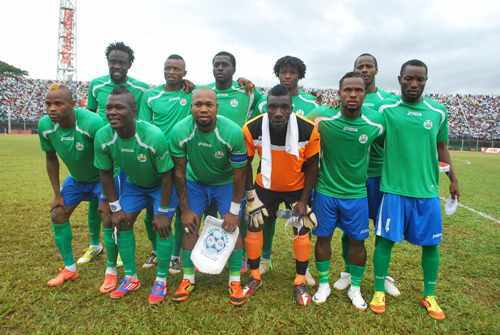 The Sierra Leone Premier League has been on hiatus since 2012, due to severe financial difficulties. The governing body is currently attempting to secure the required sponsorship, to allow the league to recommence. McKinstry, who turns 28 in July, has ambitions that stretch beyond West Africa, but for now he is focusing on improving the Leone Stars. Off the field, Johnny has never been happier. He currently resides in the capital Freetown, a city which is still recovering from the effects of a violent Civil War that stretched from 1991 to 2002. “Sierra Leone is a great country. Obviously it has its development challenges which it is working through, but it is improving all the time. While Johnny may be focusing on World Cup qualification, he hasn’t lost touch with his roots. McKinstry is an avid Lisburn Distillery supporter, who still follows the Whites from a distance. “I was a Distillery fan from the age of 8 or 9, and for a period of about 10 years hardly ever missed a game, home or away. That experience has undoubtedly shaped my views on the game, and it is an apprenticeship that I am very grateful for,” he said. Like all Distillery fans, Johnny was disappointed to see the Whites relegated from the top flight, but he believes new boss Tommy Kincaid is the right man for the job. While his beloved Distillery prepare for the Belfast Telegraph Championship Johnny McKinstry will be looking forward to taking on Equatorial Guinea this August. If he can secure three victories, it might be a while before he returns to the terraces of Ballyskeagh. So how well did Johnny McKinstry do in helping Sierra Leone achieve its World Cup dream? According to Sierra Leone Football.Com; the Irish coach is already looking forward to an extension of his contract, and already his eyes are on the 2015 AFCON in Morocco. “Having been involved in Sierra Leone football at all levels for almost 4 years now, I’m always looking to the future and how we can develop football in this country. That is no different with the Leone Stars,” he added. “That can be seen by the style of play we are working towards and the new additions to the squad we have made. This team has great potential, I’m eager to be part of that and believe that the relationship I have developed with both the players and sporting officials is one that can continue to bring success over the coming years, and I look forward to sitting down with the new SLFA executive in the coming weeks to see how we can move forward and raise up Sierra Leone football to new heights.” he added. 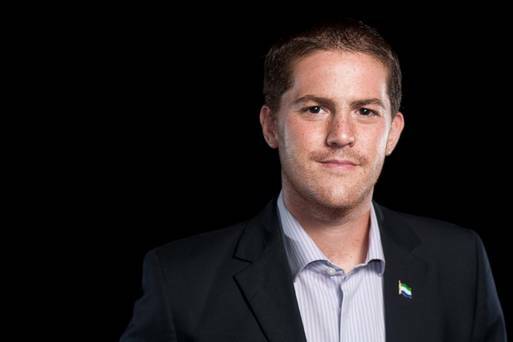 With the recent announcement of the appointment of former Sierra Leone national team head coach – John Jebbor Sherrington, as the new Technical Director of the Sierra Leone Football Association (SLFA), it is not clear whether the SLFA and minister Kamara have severed contractual ties with Johnny McKinstry. Sherrington has replaced the former Technical Director – Sam Obi Metzger Snr., who once occupied the post of coach of Leone Stars. Can a new joint-management team of Sherrington and Metzger be a better replacement for Johnny McKinstry? Is it not time to begin to develop a home-grown top management team, with technical support and advice from a good South American former football star?